A couple of years ago I used my Nokia 6230i for the last time. I still remember where I was (getting off a flight from Vienna) and who I called (my mum) as I headed to the Apple store and purchased my iPhone 3. Until then, I had stubbornly held out in the face of the relentless eulogising and proselytising and hyping and whooping of earlier iConverts. 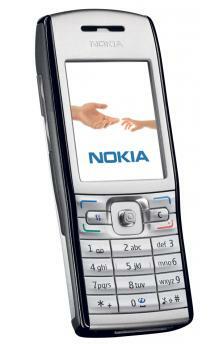 I loved my Nokia – it was small, it was hardy and, best of all, it was an amazing phone. But it was only an amazing phone and that, it turned out, was the fatal flaw. Steve Jobs had dreamed of a better thing and then – against the odds – he delivered it. A phone that had virtually limitless possibilities. It was the hardware terra firma built by a creative genius on which other creative innovators could build their skyscrapers. His timing was perfect and in the last two years he has completely, utterly, totally transformed the communications landscape. Think iMac, think iTouch, think iPod, think iPhone, think iPad, think Jobs. Tragically gone at just 56, he accomplished more in the field of technological innovation than anyone since Henry Ford or Thomas Edison. Will we see his like again? Maybe, but not for a while.